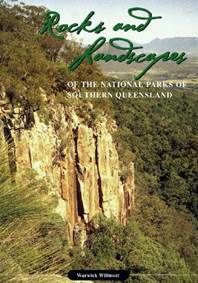 The Rocks and Landscapes series published by the QLD Division. To purchase any of the books in the Rocks & Landscapes Series, please download and return the Book Catalogue and Order Form below. The Great Artesian Basin conjures up images of unbounded supplies of underground water providing the needs for our vast outback. But it is much more complex and interesting than that. The Basin began about 200 million years ago, and then for more than 100 million years much of our continent was covered by vast river plains and inland seas, swarming with ancient life. When the seas dried away, the rocks that had been deposited were deeply weathered and leached, and old land surfaces with hard caps formed, remnants of which can still be seen today. Petroleum, coal and gas resources occur in its rocks, other minerals are extracted, and precious opals are mined at several colourful towns. There are records of huge asteroid impacts, and interesting fossils of dinosaurs are being found and displayed. How did the Basin originate, and how did the underground water and other minerals come to be there, and how they are extracted? 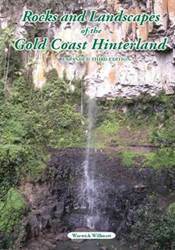 This handbook has chapters explaining this Great Artesian Basin in all its aspects, and describes what can be seen when travelling across its vast distances, particularly in Queensland.The clear non-technical treatment makes the book a must for visitorsand locals alike, as well as teachers and students. 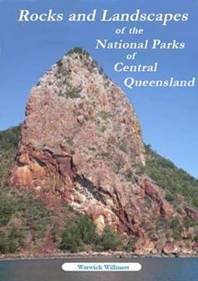 It extends the coverageof previous Rocks and Landscapes books on the eastern parts of Queensland. The Wet Tropics book explains how this region has formed over many millions of years, and the results of this geological history. It describes the relatively young volcanic activity on the Atherton Tableland, how the landscapes and scenery have developed, and how and where mineral deposits formed. 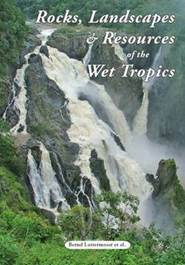 It includes chapters on the development and habitats of theGreat Barrier Reef, the region’s soil types and erosion potential, and its water resources.The authors are from the School of Earth and Environmental Sciences of James Cook University in Townsville and Cairns, and are distinguished in their respective fields. This book costs $11 + $3.50 post and pack. 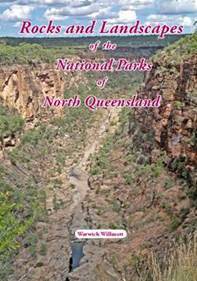 These three books by Warwick Willmott brilliantly describe the geology of most of Queensland's National Parks, specifically within the Northern, Central and Southern parts of the state. Each book is in colour and over 160 pages long. Prices per book are $20 + $5.50 post and pack. 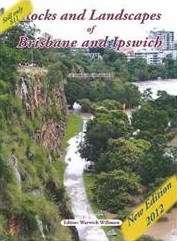 The 2nd Edition of the Rocks & Landscapes of Brisbane and Ipswich was released in 2012. 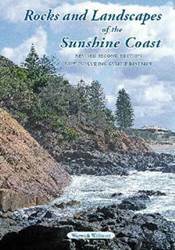 The Sunshine Coast booklet has been totally revamped, expanded to include the Gympie area, and re-released as a Second Edition. The Gold Coast booklet has just been re-released at the start of 2012 and is the 3rd Edition of this volume. It has been totally revamped and expanded. All three of these books can be purchased for $11 each + $3.50 post and pack.